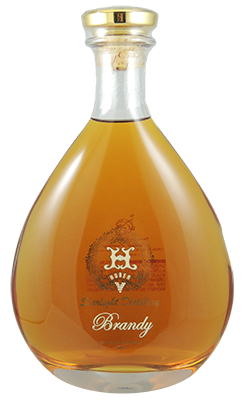 Starlight Distillery’s Reserve Brandy is made from our finest estate-grown grapes. We keep to old world tradition by aging the spirit in French oak barrels for a minimum of 5 years. This adds rich structure and complexity to compliment the bold fruit bursting out of each glass. This Brandy is a fine addition to any liquor collection. It blends well with wines, juices, or your favorite soft drink to create a variety of mixed drinks.